When I was having my first baby, the midwife running our antenatal classes gave the soon-to-be mums some sound advice – “Never be the expert about your baby or you will end up doing everything”. She was absolutely right and somewhere in my postnatal haze I remembered this gem and put it to practice – that was when my husband became known as the ‘Swaddle Master’. I can’t lend the Swaddle Master out to new parents for a demonstration on how to wrap a baby so that there is no chance of escaping arms or legs but I can point them in the direction of a sweet new book, Swaddle Love by Raegan Moya-Jones. Swaddle Love is an entertaining and practical guide to swaddling your baby and shows techniques as well as explaining the benefits, history and ‘science’ of swaddling. I can’t get past the gorgeous photos of contented bubs looking like little burritos but there is also lots of practical advice for new mothers, a resource guide and a fun ‘Aussie to American’ translator (for example, we say “wee” and they say “pee”). 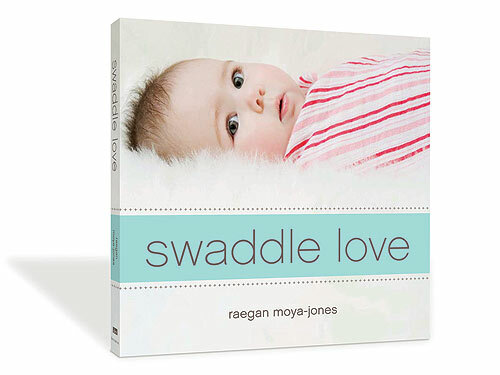 Swaddle Love is $19.95 and is available from Aden + Anais. While you are there, take a look at their divine collection of muslin wraps.